This year has been another of significant transition and growth for the Institute. 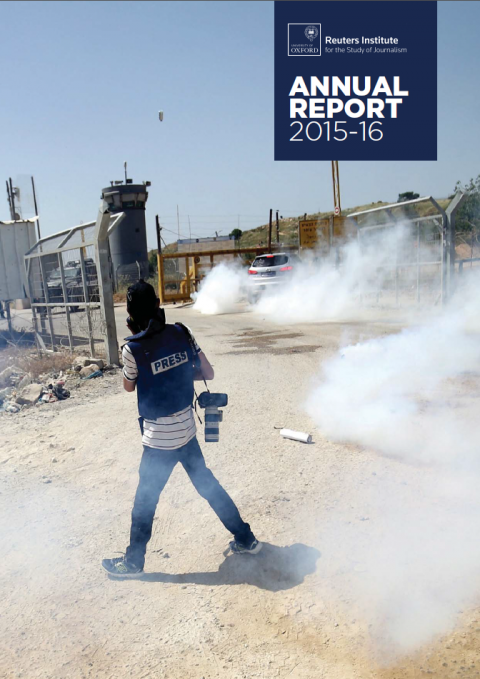 We have hosted 25 journalist fellows from 19 countries, organised 70 events and released 17 publications examining different aspects of the current challenges facing journalism. We welcomed several new members of staff, including additions to the ever-growing research and administration teams, and thanks to the support of 13 sponsors our Digital News Report covered 26 countries, more than ever before, with an additional Asia-Pacific supplement examining a further four markets. This year saw the Digital News Report expand to become the Digital News Project, with an additional five reports under the new umbrella in the 2015-2016 academic year. Download the Annual Report as a PDF below.